An important part of your roof, gutters help protect your home from water damage, including basement flooding, leaks, mold growth, etc. If your gutters aren’t in good shape, timely repair or replacement is essential. If you need new gutters for your home in Bethesda, Maryland, contact Accurate Insulation, or keep reading to learn more about gutter installation! Do You Need New Gutters? The average lifespan of gutters is 25 – 30 years so if your gutters are more than 15 or 20 years old and you’ve never had a professional inspection, it’s a good idea to get one. As your gutters age, they become more vulnerable to damage and aren’t as effective at protecting your home from water damage and other problems. Help prevent problems like roof leaks, basement flooding, etc. Whatever your gutter needs, Accurate Insulation can help. Accurate Insulation installs high-quality seamless aluminum gutters in a variety of sizes and colors. We are experienced and knowledgeable in the design and installation of gutter systems that are tailored to drainage requirements. Our team can install gutters and downspouts to effectively collect and channel water away from your home, helping ensure efficient water management. Our professionals take careful consideration of materials, shapes, sizes, colors and placement to optimize function and pleasing aesthetics. Gutters installed by Accurate Insulation gutters are the perfect accent to any home and help provide peace of mind year after year for homeowners in the Bethesda area. We also can install several types of leaf protection systems, including Leaf Relief™ by Alcoa and Spectra Shield by Spectra Metals. Contact us today to learn more about our services or if you’re ready to install new seamless gutters! Our insulation team adds energy efficiency, comfort & value to homes & buildings. 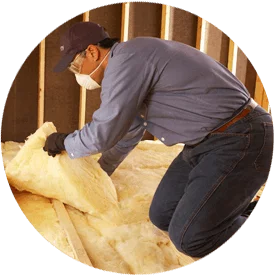 Accurate Insulation is proud to be a leading installer of spray foam insulation. We can help keep your home cooler and more comfortable with an attic radiant barrier. When you turn to Accurate Insulation for garage doors, you work with a great team. No matter your gutter needs, the Accurate Insulation team has you covered. 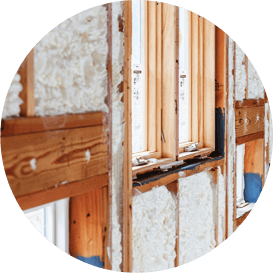 You are about to leave this Accurate Insulation - Upper Marlboro and enter a third-party site. 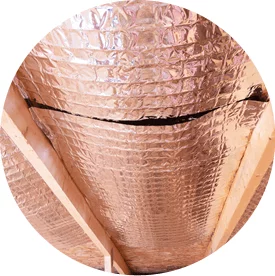 Accurate Insulation - Upper Marlboro and Installed Building Products have no control over, and accept no liability, obligation, or responsibility for, the contents or performance of other websites. Any such link does not constitute an endorsement or any representation regarding, the linked website, its content, its owner, its performance, its owner’s products or services, or any forward-looking statements found in.